A Yorkshire company specialising in financing high performance vehicles has won a national industry title. 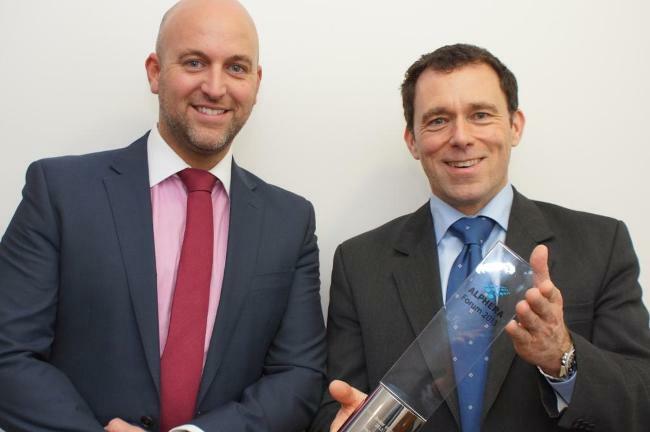 Oracle Finance – which was founded in 2006 by Peter Brook and Andy King, and is located on Knaresborough’s Whitfield Business Park – has been named as Broker of the Year by Alphera Financial Services. The company, which employs a work force of nearly 30, has 40,000 clients on its books, ranging from sole traders and captains of industry to Premier League footballers and retirees, currently underwrites some £250 million per annum. We have worked closely with Alphera for a number of years now and are thrilled they have named us as their Broker of the Year for 2013. It is highly coveted in the industry and a superb accolade for us. Vehicle funding is a £22bn industry and despite the current economic climate we are seeing sales rise by 20 per cent, year on year. “Two years ago we opened a London office to accommodate a growing number of southern-based clients. Over the next three years, we are aiming to expand the business considerably in terms of deals underwritten and staff we employ. Alphera Financial Services is part of BMW Group Financial Services, which is represented in over 50 countries, and has assets exceeding €50 billion. It is also one of the world’s leading financial services companies specialising in automotive finance, and operates in more than 20 countries around the world, including the USA, South Africa, Australia and Germany. Oracle Finance’s Peter Brook (left) and Andy King with their Alphera Broker of the Year trophy.